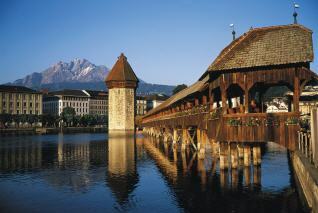 The Chapel Bridge with its octagonal water tower is the oldest covered bridge of Europe. 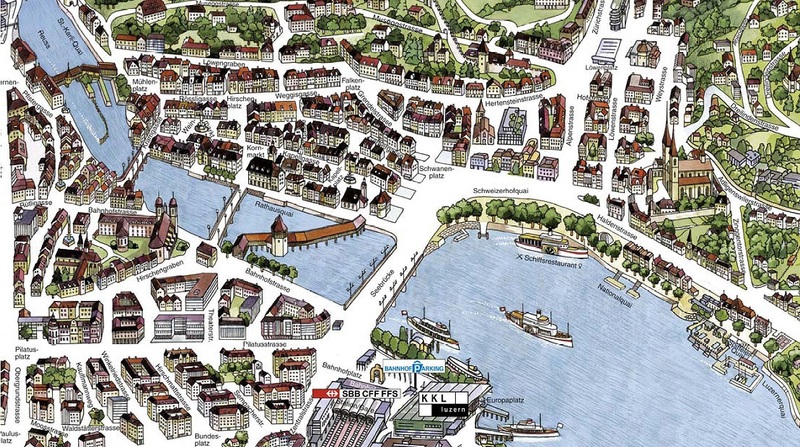 Since many centuries it is the town’s landmark of Lucerne. 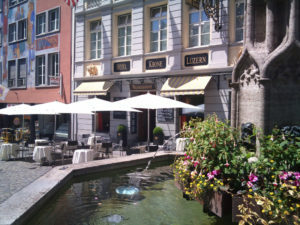 The medieval Old Town squares of Lucerne with their numerous shopping facilities illustrate the architectural and historical development of the city. The giant cyclorama in the centre of Lucerne was designed and painted in 1881 to show a scene of the Franco-Prussian War of 1870–1871. 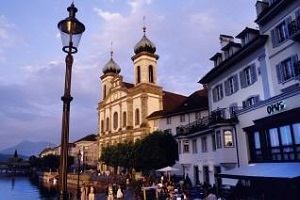 The Hof Church is the main cathedral of the St. Leodegar Roman Catholic rectory and one of the most beautiful places of interest in Lucerne. 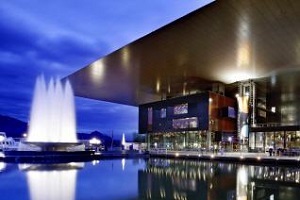 The state-of-the-art Culture and Convention Centre is one of the most impressive halls in the world and one of the main points of interest in the city of Lucerne. 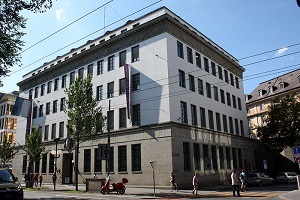 The Lucerne Arts Museum Rosengart Collection contains works of Pablo Picasso, Paul Klee and 21 other artists of the 19th and 20th centuries. 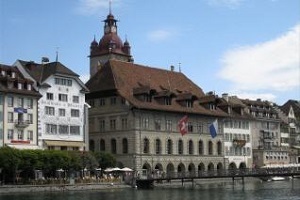 The Town Hall of Lucerne was finished in 1606 after the construction period of four years. 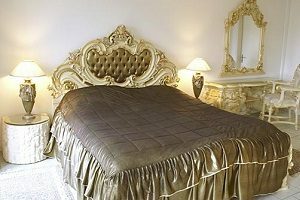 The first counsil meeting was held here on 24th of June. 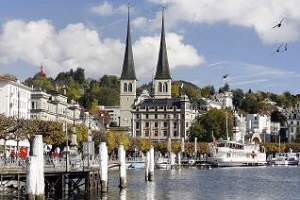 The renowned St. Franz Xaver Jesuit Church is located on the left riverside of Reuss in the old town of Lucerne. The cathedral is the first big baroque church in Switzerland. The 870 meters long wall fortifications were constructed at the end of the 12th century, just after the founding of the city of Lucerne. The wall remained almost entirely intact. 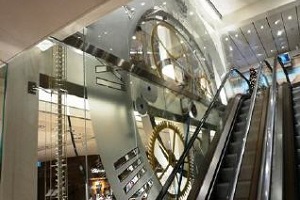 The world biggest indoor marble run clock is situated in the Bucherer building on the Schwanenplatz in the old town of Lucerne. 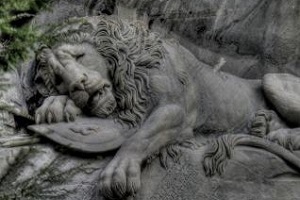 The famous Lion’s monument is devoted to the memory of Swiss guardians, fallen in Paris. 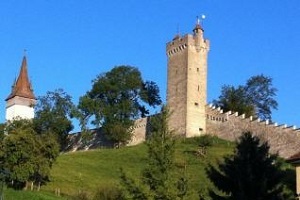 The figure of the dying lion is one of the most popular sightseeing points of the Central Switzerland. In close vicinity to the Lion Monument you will find the famous Glacier Garden – an impressive natural landmark, created during the last ice age 20‘000 years ago. 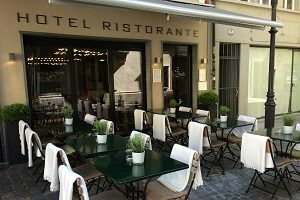 The famous Hotel des Balances delights its guests with the historical facades, perfect location on the Reuss promenade as well as the lovely view to the Jesuit church and Swiss Alps. 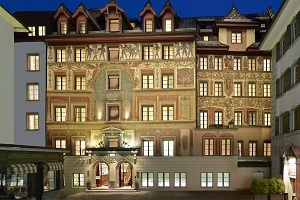 This cosy, warm Swiss hotel in the heart of Lucerne has a rich tradition, being one of the oldest houses in the city. 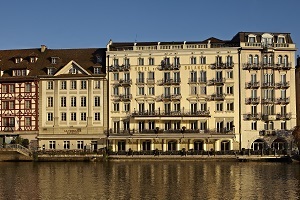 The mysterious Boutique-Hotel lies just few walking minutes away from the Reuss river, the Lake of Lucerne as well as the most popular points of interest. 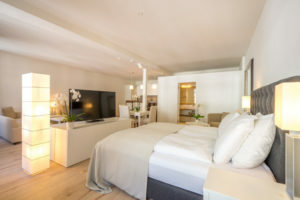 Beautiful Krone apartments are located in the historic guild house „zur Metzgern“, on the opposite side of Hotel Krone in the Old Town of Lucerne.